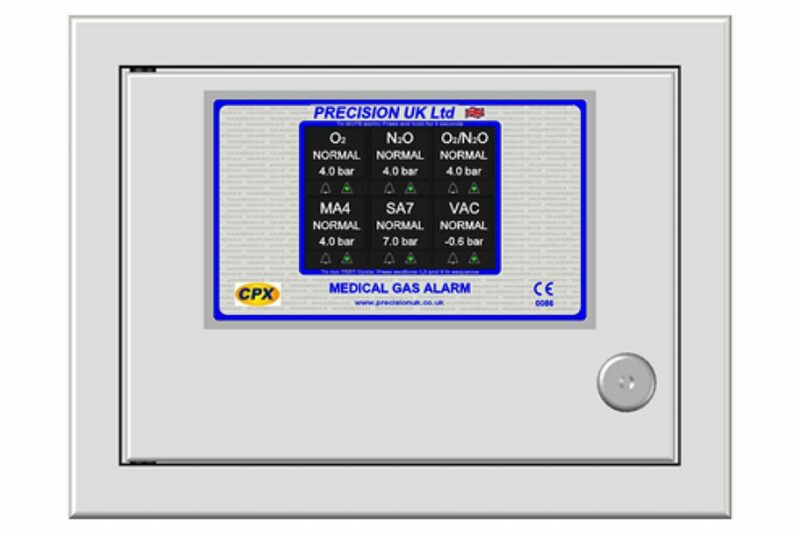 The CPX Digital Area Alarm is used to monitor pipeline pressure within a ward, theatre, private rooms etc. The pressure is monitored via a transducer in the pipeline downstream from the last AVSU, this pressure is monitored for both high and low pressure (low only for vacuum). A fault on the cabling between the pressure transducer and alarm panel would result in a system fault alarm and as a result the integrity of the CPX cabling is incomparable. 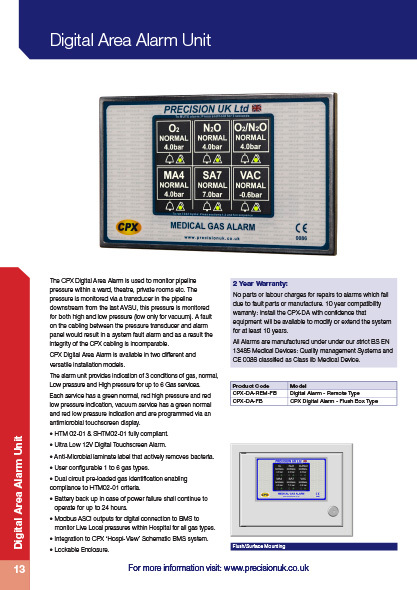 CPX Digital Area Alarm is available in two different and versatile installation models. 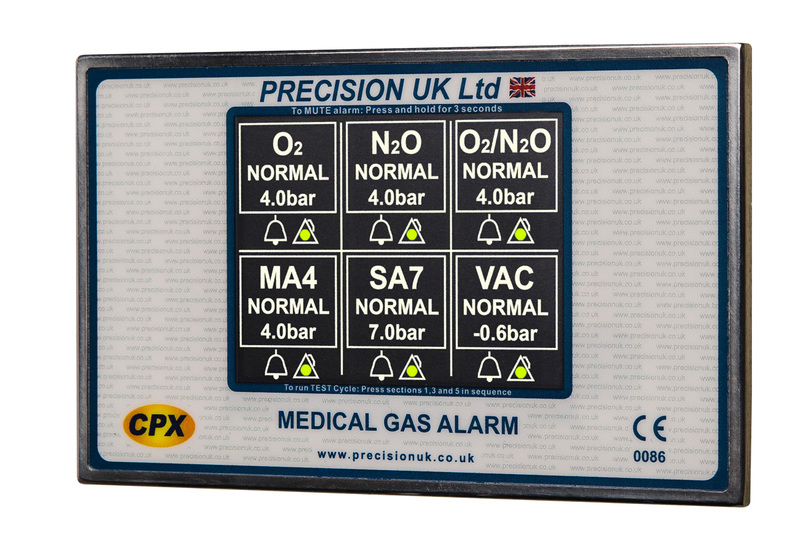 The alarm unit provides indication of 3 conditions of gas, normal, Low pressure and High pressure for up to 6 Gas services. Each service has a green normal, red high pressure and red low pressure indication, vacuum service has a green normal and red low pressure indication and are programmed via an antimicrobial touchscreen display. No parts or labour charges for repairs to alarms which fail due to fault parts or manufacture. 10 year compatibility warranty: Install the CPX-DA with confidence that equipment will be available to modify or extend the system for at least 10 years. All Alarms are manufactured under under our strict BS EN 13485 Medical Devices: Quality management Systems and CE 0086 classified as Class iib Medical Device.